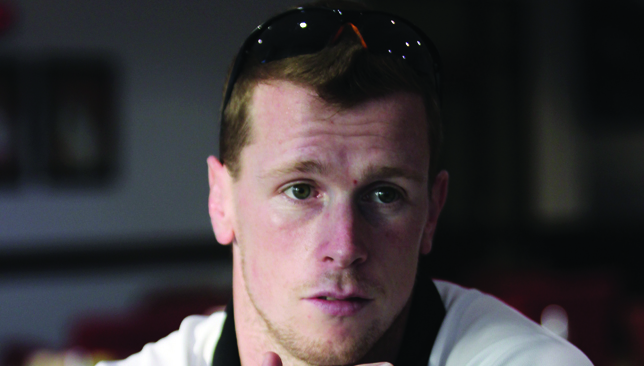 UAE international Luke Stevenson is one of the new joint coaches at Quins. 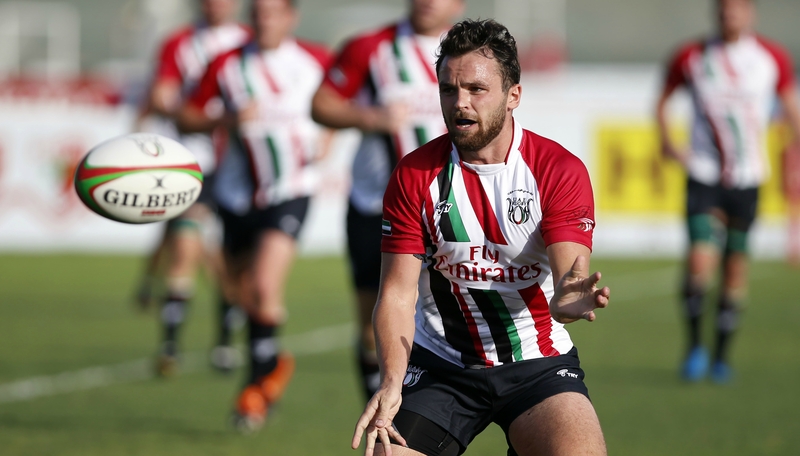 It may be all change at Abu Dhabi Harlequins with the sudden departure of renowned coach Mike McFarlane, but the winning habit remains judging by their 29-25 triumph over Jebel Ali Dragons on Friday night. Senior players Craig Nutt and Luke Stevenson have stepped up into the sizeable void left by McFarlane, who returned to the United Kingdom last week for personal reasons. Prop Nutt and fly-half Stevenson will take on dual player/coach roles for the remainder of the campaign, although Nutt revealed that a large group of current and ex-players, as well as coaches, will lead the team collectively. With three games of the West Asia Premiership season remaining they kept in touch with Bahrain at the top of the table on Friday with a four-point win over Dragons – who also said goodbye to their coach, Wales and British & Irish Lions great Mike Phillips, earlier this month. The bonus point win leaves Quins nine points adrift of Bahrain with three games to go. “We are just helping out, we are not the official coaches, it’s a collective effort until the end of the season,” Welshman Nutt told Sport360 following Quins’ win in Jebel Ali. 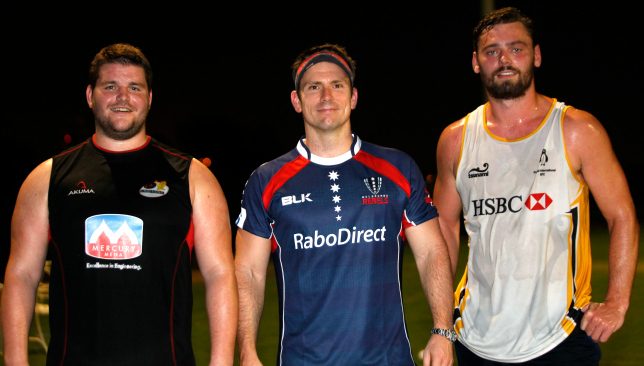 Craig Nutt (l) started his career in the UAE with Abu Dhabi Saracens. “At Quins, all is the same really. We still have all the same coaches in place and some of the players and ex-players have put their hands up to help out to spread the workload, as Mike leaving has left a hole, obviously. McFarlane brought unparalleled success to Quins during four-and-a-half years in charge – lifting 10 of 19 trophies available from the time he took over in the summer of 2015 from Jeremy Manning to the culmination of the 2017/18 campaign. Even amid testing times in the latter part of his reign, McFarlane kept Quins hyper competitive. Their three-year sponsorship deal with Etihad was not renewed on the eve of the 2017/18 season, while there were also a number of high-profile player departures plus the blow of seeing influential skipper Ben Bolger forced into retirement through concussion. Despite this, they remained competitive on the field as they, Dragons, Bahrain and Dubai Exiles contested and shared the major honours. Quins retained the Champions League title and added the inaugural UAE Premiership Cup, but the major titles avoided them. Quins coach Mike McFarlane has returned to the UK. They lost the West Asia Premiership crown to Dragons in Bahrain, the latter beat Exiles in the West Asia Cup final, Exiles beat Dragons in the Dubai Sevens final and Quins lost the final game of the season and their grip on the UAE Premiership to Exiles. More departures last summer precipitated the opinion that yet more struggle was to follow. But Quins have been the one team to keep pace with runaway league leaders Bahrain – who thrashed Quins 49-15 in the previous round of action. “With the season it was tough result last week, even harder watching it on TV as I was away,” added Nutt, who revealed Quins will concentrate on the West Asia Cup with Bahrain in sight of the Premiership title, while they lead the UAE Premiership by 17 points from Exiles. “Bahrain are a quality side and we are hoping and pushing for one last crack at them at the end of the season, hopefully in the final. 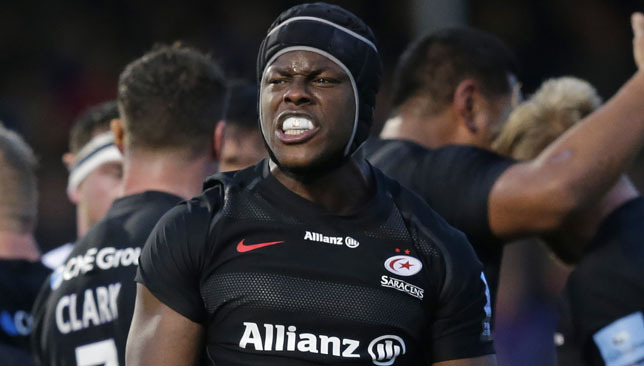 Itoje, who signed his first professional contract seven years ago, is widely regarded as one of the best second rows in world Rugby. 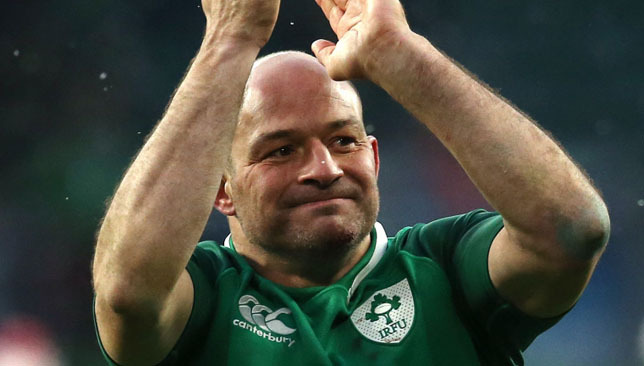 He was appointed Saracens captain aged 20 and has led the London-based club to back-to-back Champions Cup successes and three Premiership titles. Itoje has made 26 senior appearances for England and played in all three Tests for the British & Irish Lions during their drawn series in New Zealand in 2017. “Those pictures are stored in a box in my office.